Flexbox, Grid and Box Alignment are the cornerstones of modern CSS layouts. They introduce behaviours that might seem confusing if you don’t completely understand how the browser interprets the CSS values you assign, e.g. sizing with Flexbox, or the various options for sizing tracks in Grid. This webinar will explain a variety of modern CSS layout techniques through live demonstrations using Firefox DevTools, and provide real-world use cases of how such techniques allow designs to better adapt across a broad range of viewports. Please note, we’ll use the Zoom platform for this webinar, for improved video quality. Chen Hui Jing is a self-taught designer and developer with an inordinate love for CSS. Reducing lines of code in her web projects makes her extremely happy. She used to play basketball full-time and launched her web career during downtime between training sessions. 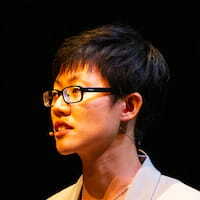 Hui Jing is currently a Developer Advocate for Nexmo, focusing on growing developer engagement around the APAC region.